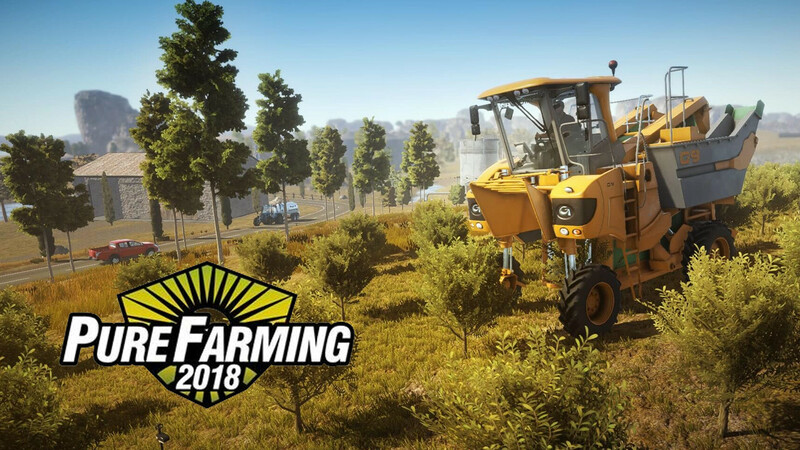 Pure Farming 2018 developers Ice Flame has released a new trailer for their upcoming multi-national farming simulator revealing a very welcome feature. Owning farms in multiple countries wouldn’t be worth a penny if you couldn’t look at the beauty of your estates from way up in the sky. Well, that’s where your trusty drone comes in. The last bit could turn more players away from the sim as it adds another mechanic that a lot would consider “arcadey”. Some players were already turned off by the fact that you could refuel your vehicles by purchasing gas from the in-game tablet. Those who are looking for a realistic commercial farming sim might really have to look elsewhere. But, if you can get over those “features”, Pure Farming 2018 does seem to be pretty promising. The game features gorgeous realistic graphics, authentic licensed machines, four different countries to build your farm on with each one having region-specific conditions and crops, and a whole lot more. You’ll also have three game modes to choose from. Pure Farming 2018 is coming to PC, Xbox One and PS4 on 13 March. Ice Flame’s farming sim will feature three distinct modes revealed in a brand new trailer aptly dubbed as ‘Best Things Come in Threes’.